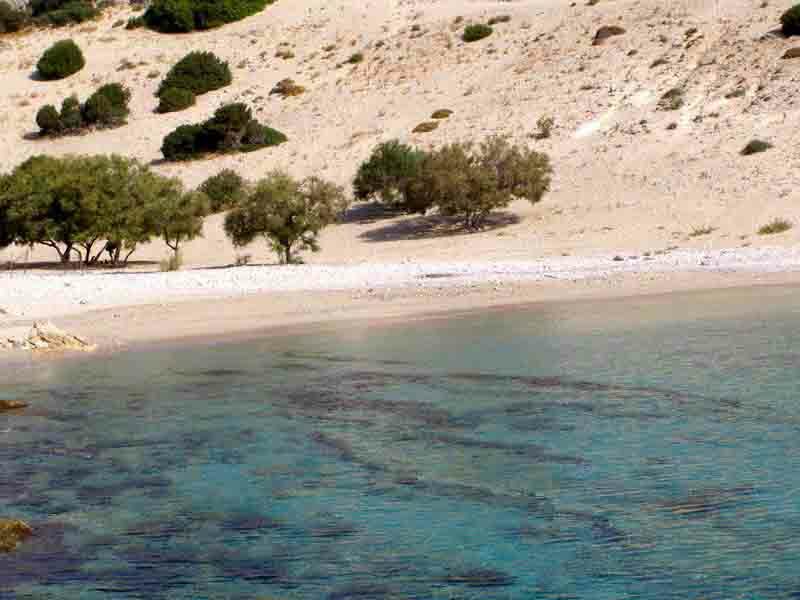 If Koufonisia is the most touristic destination among the Little Cyclades group, while Iraklia and Donousa are somewhat off the tourist map, then Schinousa, located at the centre of the complex, stands indeed somewhere in between. 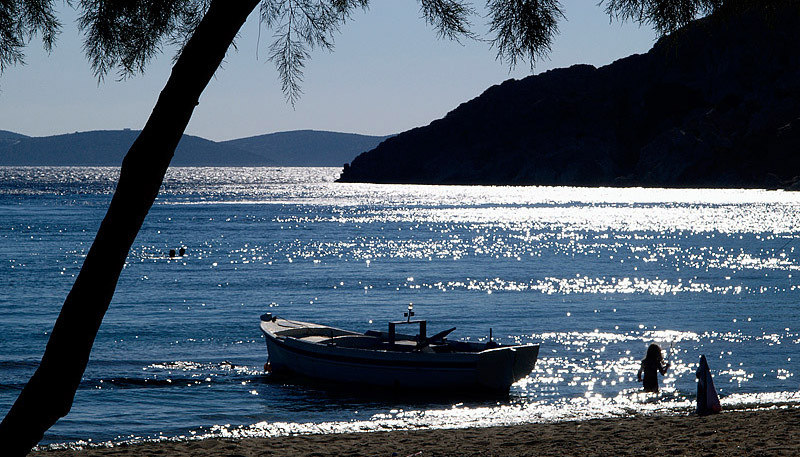 This Greek island offers low-key vacations with only the basic amenities. 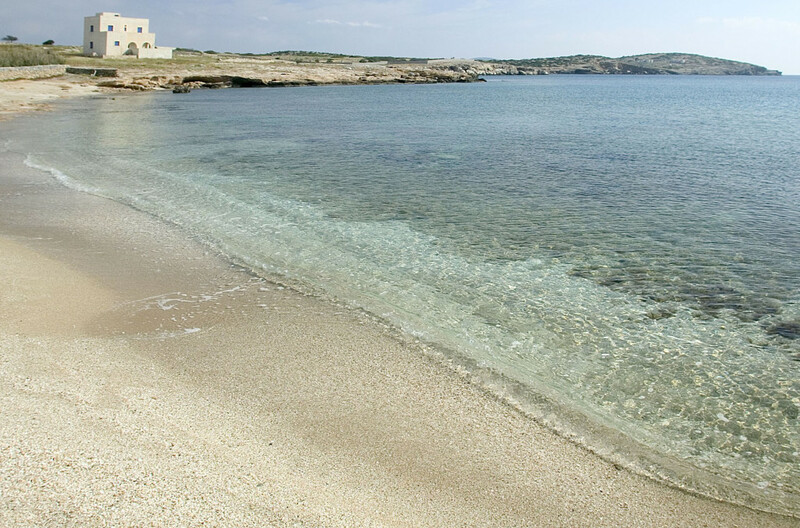 A great opportunity to recharge your batteries and enjoy just the essential: sea and sun. Also, a chance to leave your vehicle behind (there’s no gas station on Schinousa, anyway) and start walking around the island, as distances are both short and pleasant. 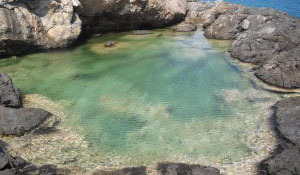 Despite its small size, Schinousa boasts of more than a dozen beautiful beaches (not organized, but easily accessible) that appeal to every visitor. 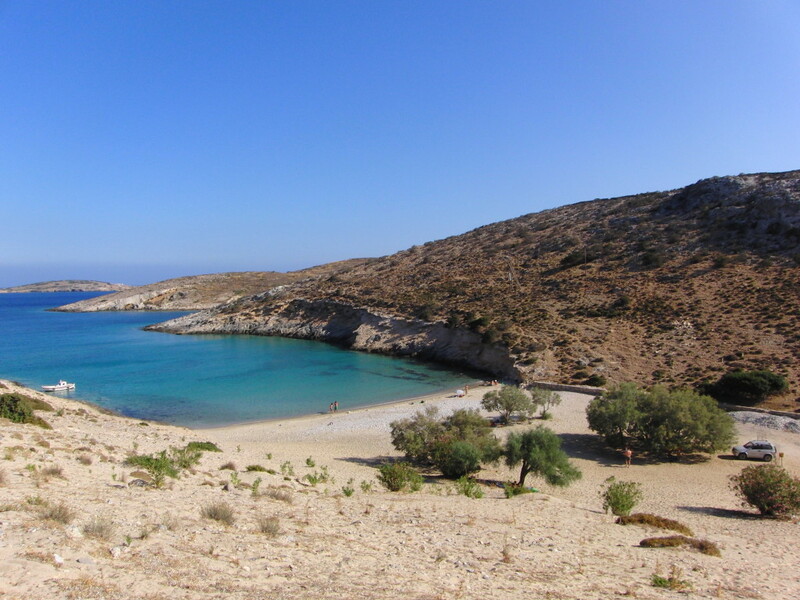 It also features a small number of sights (mostly sea caves), while at the same time serves as a fine base to explore the rest of the Little Cyclades. There are only three settlements on Schinousa: The port of Mersini, the capital of Chora and the inland Mesaria. Chora (or Panagia) is the island’s highlight, built on a hill and offering superb views, with its Cycladic houses in white and blue, courtyards full of flowers, shops and cafes, as well as the trademark church of Panagia Akathi. 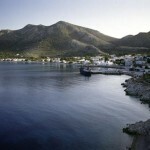 Schinousa is one of those unspoiled and unexplored Greek islands, where everything is kept simple and tranquil. And yes, it doesn’t get any better than that. Koufonisia (aka Pano/Upper and Kato/Lower Koufonisi) are the group’s most popular and touristic developed destination, with beaches of exotic looks (for more details, check the article on Koufonisia). 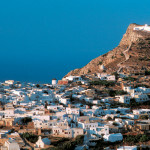 Iraklia in a few words: It’s the westernmost of the complex, a truly serene destination. 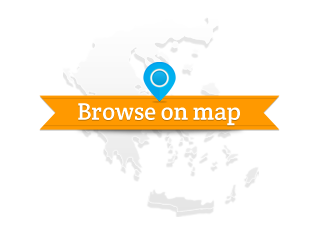 As in Schinousa and Koufonisia, here you can also walk from one place to another. Iraklia features two settlements (the port of Agios Georgios and Panagia). On the island there are no banks, gas station, camping site, buses or taxis, but there’s interesting flora and fauna. Sights to see: The castle at Livadi, the cave of Agios Ioannis and Mt Papas. Beaches: Sandy Livadi, Alimia, Agios Georgios, Vorini Spilia / Pebbly: Karvounolakkos and Ammoudi tou Mericha. Gastronomy: Try fresh fish, fava, theme honey, xinomyzithra and anthotyro (types of cheese). Activities: Hiking, diving, bird watching. 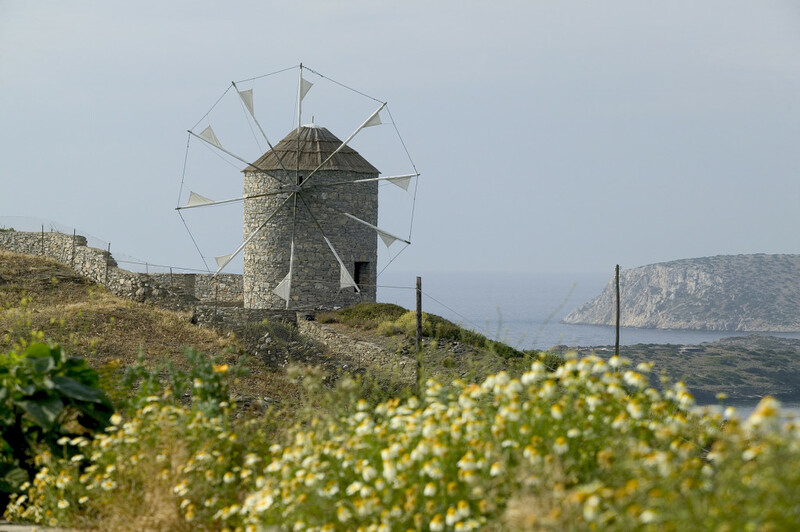 Donousa in a few words: It’s the northernmost island of the complex, remote and tranquil, plus free campers’ favorite. It features four settlements (the port and capital of Stavros, Mesaria, Mersini, Kalotarisa). There is no public transport, only a few taxis. As in Schinousa and Koufonisia, here you can also walk from one place to another. 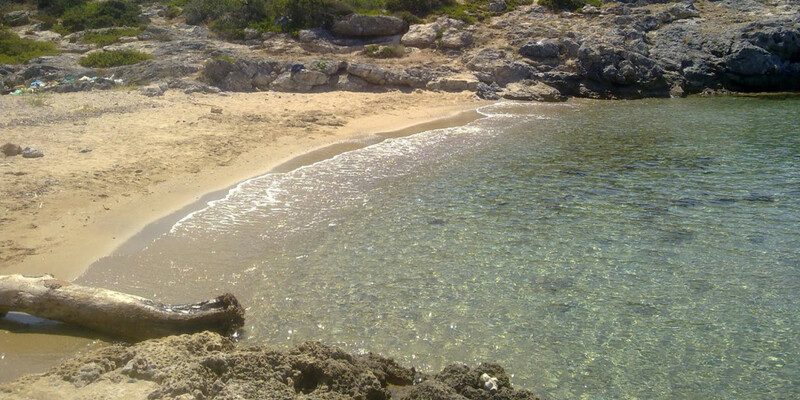 Donousa has many beautiful and tranquil beaches: Stavros, Kalotarisa, Kedros (camping and nudism are allowed here), Livadi, Fikio, Tripiti, among others. 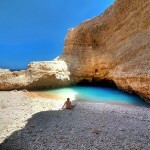 Sights to see: Fokospilia (Seal cave), Spilia tou Tichou (Cave of the Wall), the church of Stavros, the chapel of Panagitsa at the village of Stavros with excellent views. Gastronomy: patatato (meat in red sauce with potatoes), aranista (type of pasta), raki made of dried figs. Activities: Hiking, diving. Popular custom: The “treasure hunt” (locals and visitors try to find the pirates’ treasure and roam around the island, discovering its many beauties). Major feast: On September 14th, at Stavros. No text reviews of Schinousa exist. You can be the first one to review Schinousa.